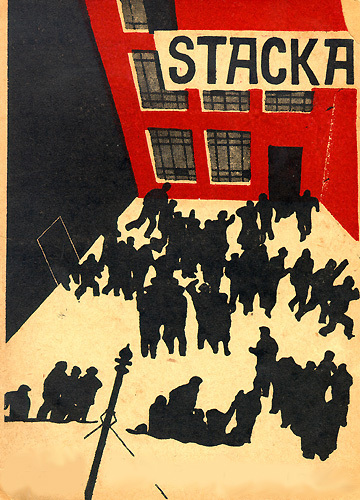 In Russia's factory region during Czarist rule, there's restlessness and strike planning among workers, management brings in spies and external agents. 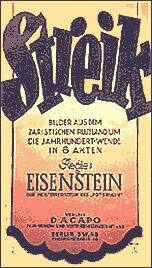 When a worker hangs himself after being falsely accused of thievery, the workers strike. At first, there's excitement in workers' households and in public places as they develop their demands communally. Then, as the strike drags on and management rejects demands, hunger mounts, as does domestic and civic distress. Provocateurs recruited from the lumpen and in league with the police and the fire department bring problems to the workers, the spies do their dirty work, and, the military arrives to liquidate strikers. Russia, inizio secolo, prima della Rivoluzione d'Ottobre. Un operaio ingiustamente punito si suicida e questo fatto provoca lo sciopero delle maestranze, gi� da tempo in fermento per rivendicare migliori condizioni di lavoro e migliori salari. I giorni passano, ma le richieste dei lavoratori non vengono accolte. Per sopravvivere, gli operai in lotta sono costretti a vendere o ad impegnare le ultime cose rimaste. Intanto, la polizia cerca di dividere e isolare gli stessi operai, minacciando, provocando o cercando di corrompere i pi� deboli. Alla fine, visti naufragare tutti i tentativi per far tornare gli operai al lavoro, la polizia assalta le loro case massacrando uomini, donne e bambini. Laborers at a locomotive factory go on strike to protest harsh working conditions. Management rejects their demands and decides to break the strike by any means necessary. 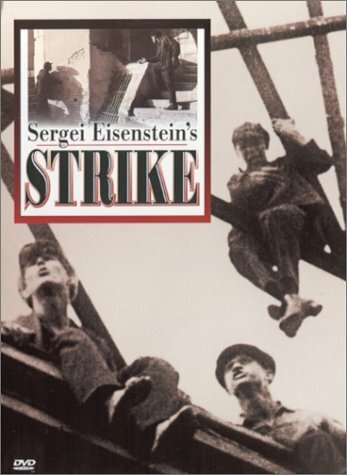 Pre-Potemkin It takes place during the 1912 Factory Strike in Russia.This was the brilliant debut of Sergei Eisenstein which introduced the idea of montage.Done before Potemkin, Stachka/Strike(1925) is a film about the struggle of the working class against the Tsar.The film showed of things to come for the career of Eisenstein.This was to be part of a series of films concerning the events that led to the 1917 Revolution.He shows the working class as the main protagonist in Strike.Was co-written by frequent co-writer Grigori Aleksandrov. Stachka and Battleship Potemkin would be the only films in which Eisenstein would have complete artistic control.Like Potemkin, it also features a grand massacre sequence.Eisenstein's direction is nothing short of first class.October(1927) can be looked upon as a sequel to Strike.The images of this is an example of why the silent period was the last truly great era of visual filmmaking.Strike would be the first of many great movies from a master artist.A fine scene is the superimposition of a slaughtered bull over a scene of massacred workers.